One of our friends produced a fantastic record of the recent Songo Drumming Project performance at the Wakefield Cathedral. This event was organised in commemoration of Refugee Week by Alison Bullivant and was enjoyed by many and a great success. 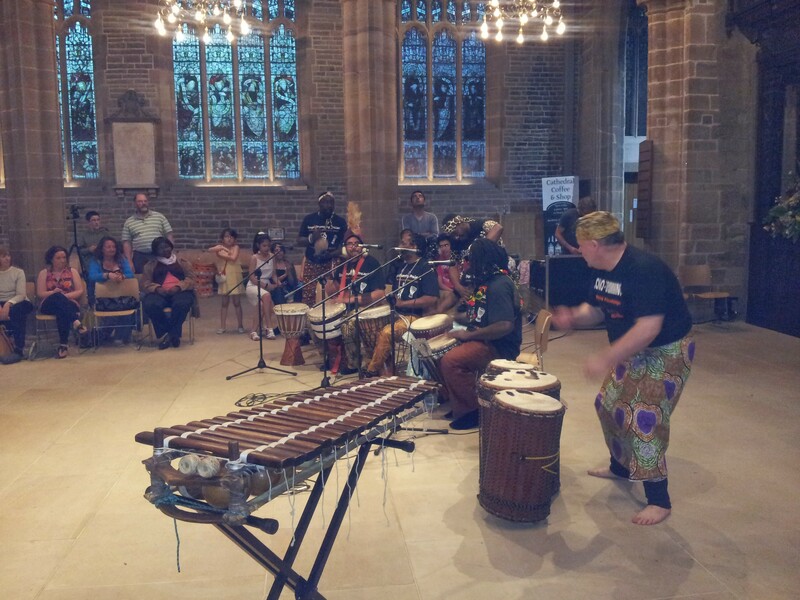 The Songo Drumming Project was honoured to help out and be involved. As you can see in the video, things can get a bit exciting! This entry was posted in Performances and tagged community, featured, performance by Songo. Bookmark the permalink.